Now we move steadily to autumn and to the dreaded winter which, let’s be honest, we only put up with because of Christmas. But the colder months of the year aren’t all bad. I mean, who doesn’t love stepping on crunchy fallen leaves in autumn? Besides that, there’s always the delights of the Autumn/Winter wardrobe: Fairisle jumpers, winter boots, big, warm, snug coats. At the risk of sounding like Mr Autumn Man, the following season’s got quite a lot going for it, sartorially at least. 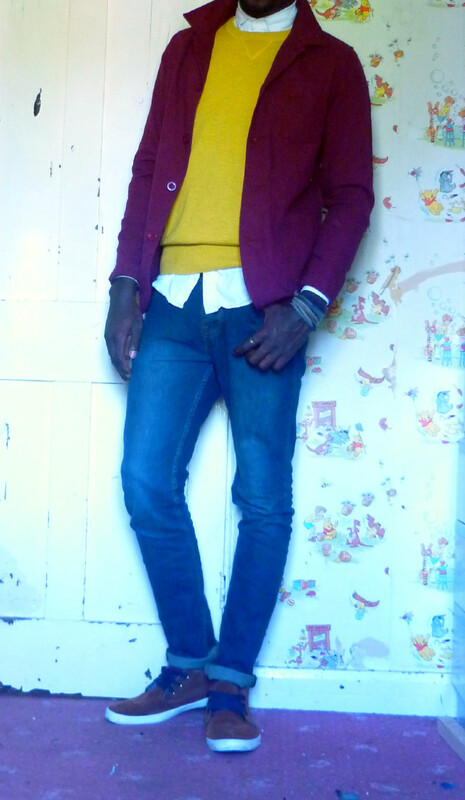 And it is for this precise reason that I’ve put together an autmumn layering look for you fashionable males out there. Autumn clothes tend to be more sombre and neautral than their spring/summer counterparts. Obviosuly, no one’s expecting you to throw out all your brightly coloured sumer clothes, but you’ll notice that, almost subconciously, people start to wear less bright clothes…. like we’re mourning the loss of the sun…. If you compare these two pictures from Next’s High Summer and Autmn/Winter lookbooks, respectively, you’ll see what I mean. 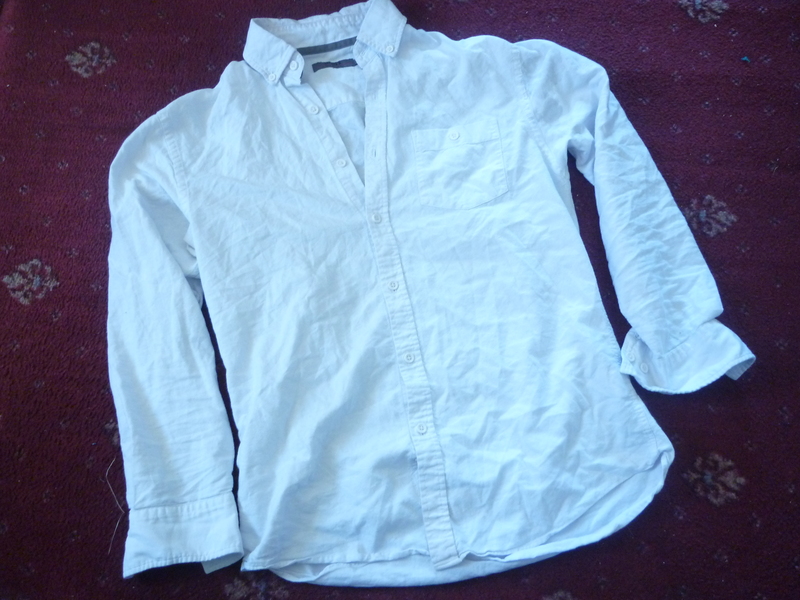 A white Oxford shirt underneath tones down the brightness of the yellow. And it looks pretty good too. 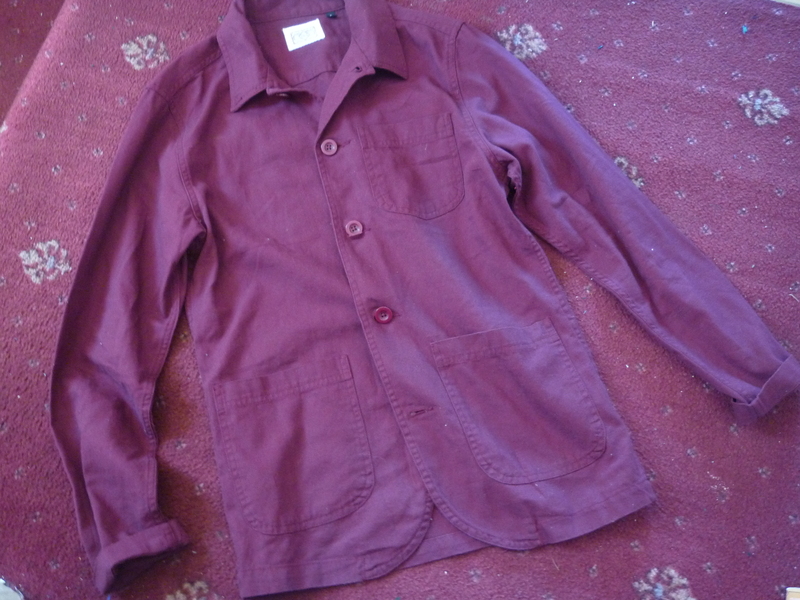 Depending on my mood, I might undo the top button (cheeky bit of cleavage). 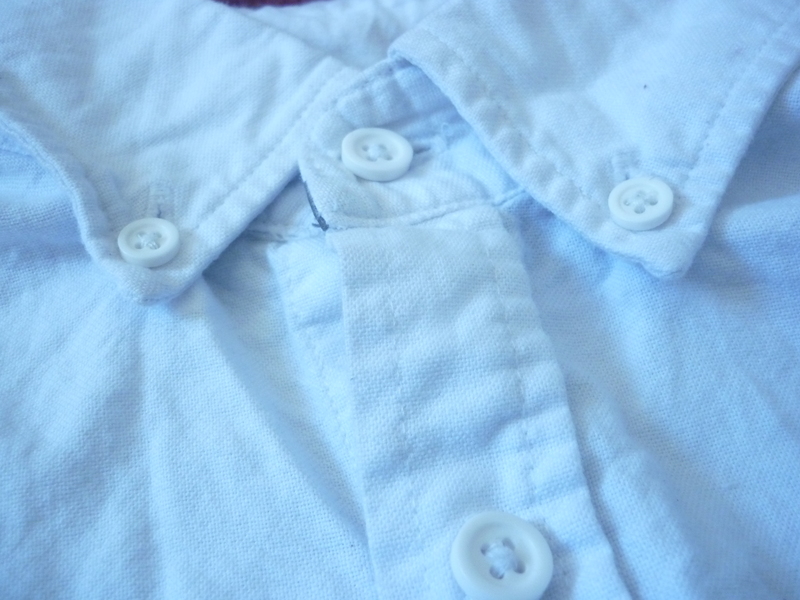 I think fastening the top button makes it look marginally more formal. Try it both ways and see how you like it. 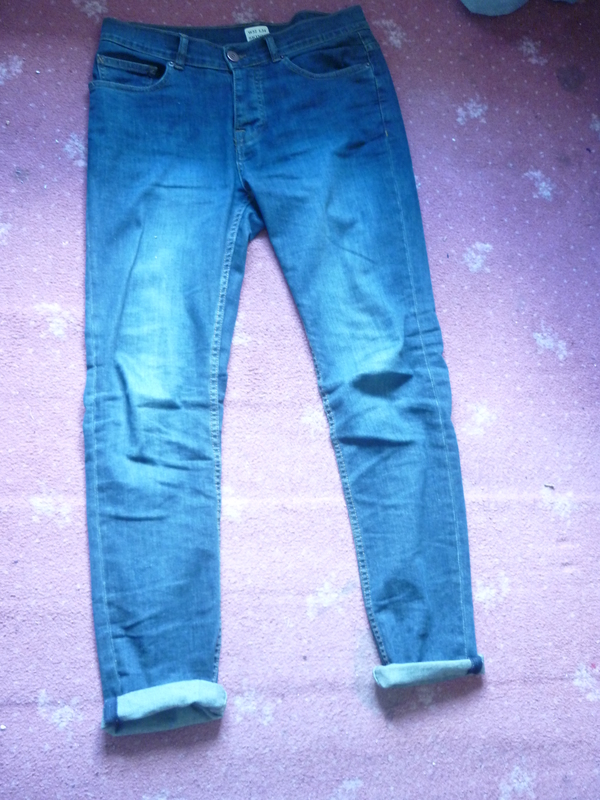 I’ve gone for skinny indigo jeans and rolled up the bottoms a couple of times. 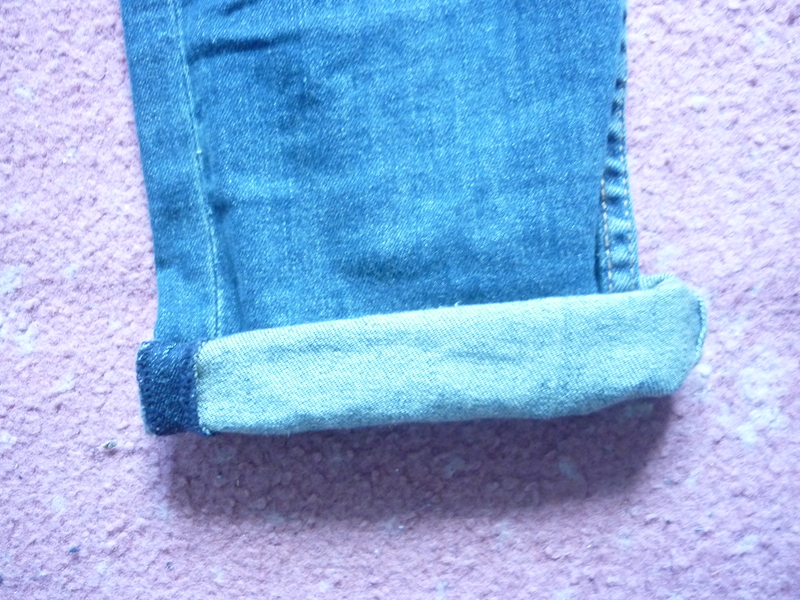 Dark blue jeans like these are a staple and pretty much everyone owns a pair. Rolling up the hems makes it stand out a little. I got this pair from Primark for a tenner. 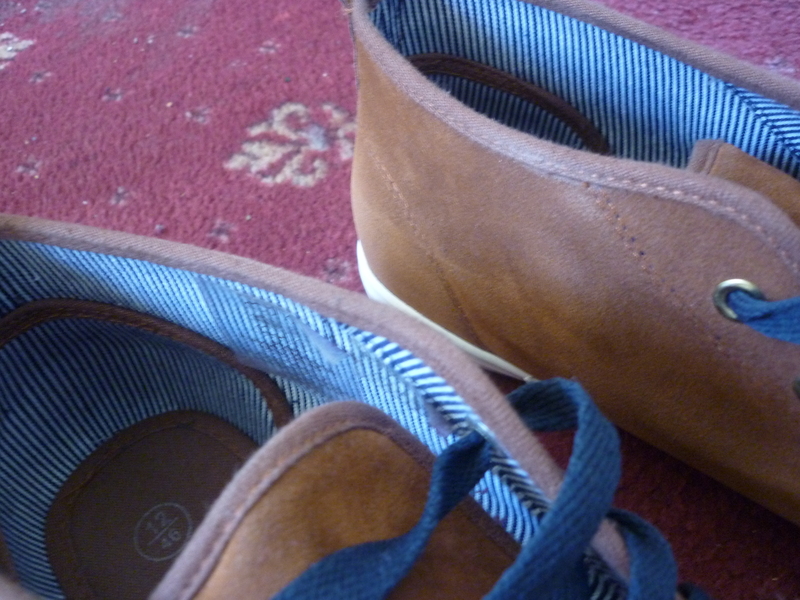 To finish of the outfit, I’ve added these (imitation) suede chukka boots in a tan kind of colour. They didn’t come with these laces, but I think these navy trainer laces make them look a little more casual and I like the contrast between the colours. 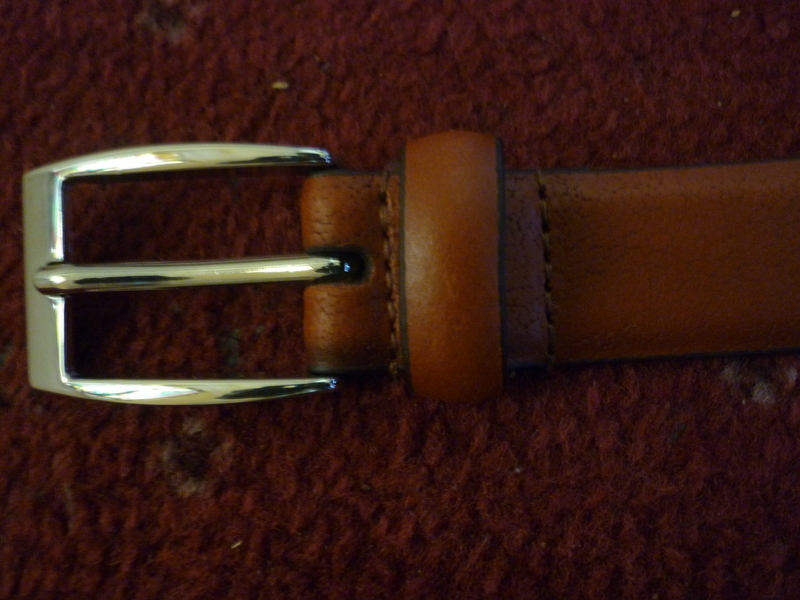 Finally, this light brown belt matches the shoes (though it probably won’t be visbile behind the jumper). 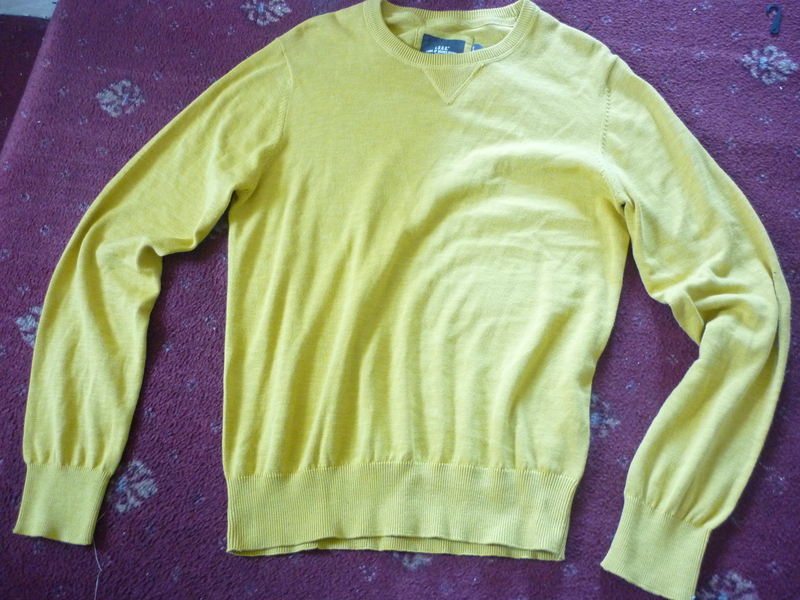 Mustard yellow, burgundy and navy blue is possibly my favourite colour combination at the moment. They mirror the hues of autumn (yellow and brown leaves etc). But don’t take my word for it? FC Barcelona clearly agree with me. So there you have it, my autumn layered look. Comment and let me know what you think. Layering is one of the few things that makes the colder months bearable. I love being able mix and match colours and textures of clothes, and the simple fact that it keeps me toasty.